The Kia Sportage GT variant has design features such as a “blade mesh” grille and ice cube-style LED fog lights. Kia has reduced the price of its new Sportage in the key German market even though the SUV is roomier, more upscale and drives better than the model it replaces. The fourth-generation Sportage will start at 19,900 euros in Germany, 600 euros less than the current model. 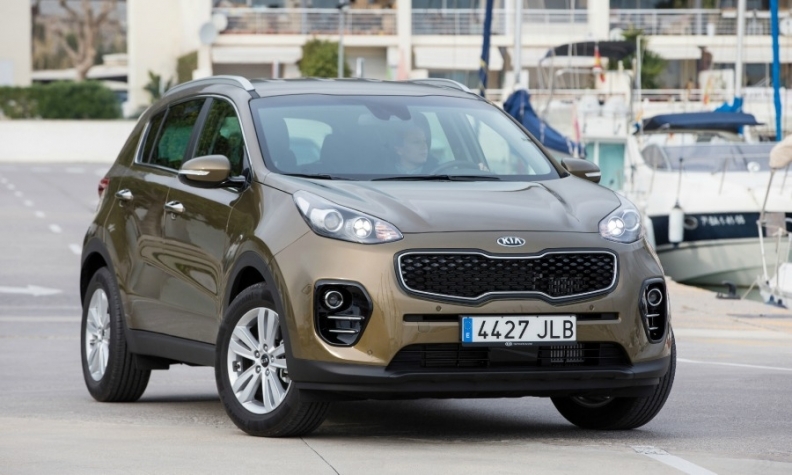 Kia is selling the cheapest Sportage version below 20,000 euros to maintain the model's appeal in the compact SUV segment, which is booming but is highly competitive. Kia’s other European markets will decide individually whether to follow the example of the company's German unit. Incentives offered by rivals were also a factor in the pricing decision, said Steffen Cost, Kia Germany's chief operating officer. Kia is keeping the base price low to avoid the need for discounts, he said. The Sportage was the No. 3 seller in Europe’s compact SUV segment last year with sales up 9 percent to 106,805, trailing the segment leader, the Nissan Qashqai, whose volume grew by 14 percent to 232,788, and the Volkswagen Tiguan, whose sales dropped by 1 percent to 148,940, according to market researcher JATO Dynamics. Total segment sales grew by 14 percent to 1.17 million. VW will begin sales of the new-generation Tiguan in April, which will make life harder for the Sportage. The SUV, Kia's top-selling vehicle in Europe, is a key brand image contributor, said Veronique Cabral, Kia Europe's product manager for the model line. "More people know the Sportage than know our brand," she said. The Sportage has a significantly improved interior with a clear dashboard layout and soft touch plastics, she said. Its 30mm longer wheelbase means more legroom for front and rear occupants. Kia Europe Chief Operating Officer Michael Cole said sales of the new Sportage likely will be the same as the current model. "Our sales forecasts are conservative because the current Sportage was already selling at a high level despite reaching the end of its life," he said. Kia executives ruled out a plug-in hybrid version. Connectivity: The Sportage's wireless charger located at the base of the central instrument stack allows occupants to charge a mobile phone without a wire connection and is a segment first, Kia says. Technology: Safety equipment includes autonomous emergency braking, which operates if a collision is imminent, and a function that takes corrective action if the car drifts from its lane. Top version: Kia has extended its top-end GT trim level to the Sportage. Upgrades include a seven-speed dual-clutch transmission and sporty design features. What's good: Kia has given the Sportage extensive extra dashboard insulation, new engine acoustic shields and thicker glass to address complaints that the current car’s interior is too noisy.